How To Stand Out From Other Exhibitors at CES? 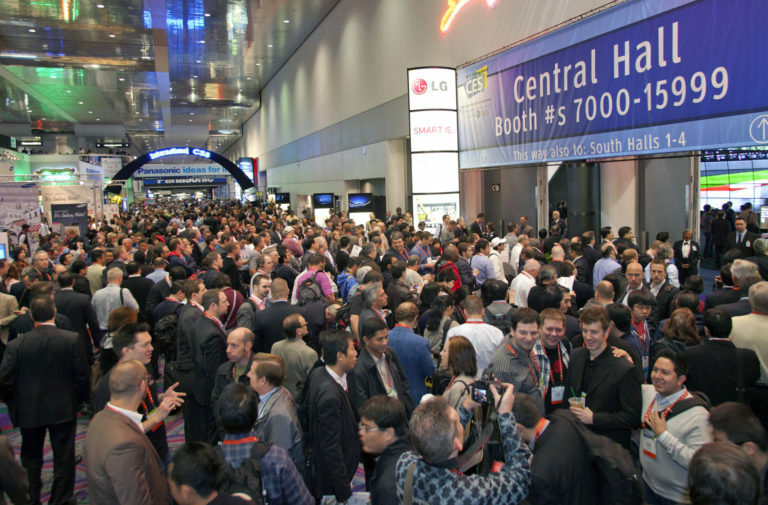 The Consumer Electronics Show – CES to its friends – is the world’s biggest tech showcase. Held in Las Vegas every January, it attracts the latest and greatest in technology from the world’s leading electronics brands. With over 4000 exhibitors, 170,000+ visitors and 7500+ media covering the event, it represents an incredible opportunity for any tech company. But if you’re one of those 4000+ exhibitors, you’re faced with a bit of a problem – how do you stand out from the crowd? Not only do you have to somehow draw people in, you have to draw the right people in – a difficult prospect for businesses day-to-day, let alone when you’re hidden amongst another 4000 companies who are trying to do the very same thing. So how do you go about standing out at CES? Here are just a few tips to help you rise above the tech start-up noise. CES is not the sort of event that you want to blindly walk into. Proper planning prevents poor performance, as the old business credo goes. You’ll first need to ensure that you’ve got something tangible or ‘real’ to show visitors. There are far too many exciting products on display for you to expect a simple idea or concept to gain traction. If you don’t have something that attendees can stroke, squeeze or view, your CES will be doomed to fail. 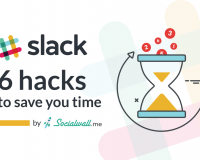 Go in with a real product, and practice a spiel of less than one minute that conveys everything a visitor needs to know about how great it is. Is your product truly revolutionary? Of course it is. But unfortunately this fact may be lost on those who haven’t yet seen it. It’s up to you to spread the good word about your product, and it’s not a job for wallflowers. You need to be bold and unashamed when it comes to creating your own hype. No one else is going to do it for you. Pre-CES, insert phrases like ‘after a year of anticipation’, ‘ground-breaking’ and ‘game-changing’ into your marketing and outreach materials. Let people know that they’d be silly to miss out on what you’re showcasing. Sure, getting in front of those 170,000-odd visitors will be fantastic, but the 7500+ media representatives are the real key to your success. And while it may be tempting to fire off a standard email to all 7500 of them, this strategy is doomed to fail. The media will want to know how your product relates specifically to them. If you’ve designed a smart kitchen that can cook for you, the phone-fixated crew at GSMArena won’t be particularly interested in what you’re offering, even if it can bake a delicious cake. Find a handful of media representatives that best align with what you’re offering, and send each of them an individualised email that explains why they need to cover your product. The media will often plan their strategy weeks or months in advance, so be sure to get in as early as possible. While the media will obviously help to get the word out, they aren’t going to directly result in sales of your new product. You need to ensure that your ground-breaking, game-changing, revolutionary creation is seen by the suppliers, distributors and retailers that matter. LinkedIn offers a terrific way to hook up with industry movers and shakers pre-CES. Make a list of ideal individuals in the industry that you’d love to speak to. Jump on LinkedIn, and check whether you’ve got any connections in common. 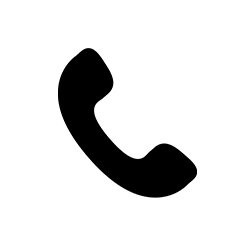 If you do, construct a concise intro message, letting them know who you are and asking whether they’d be interested in meeting up before the show. You’ll ideally keep this message to a couple of sentences. As anyone in business will tell you, it’s all about networking. Make sure you’re doing all that you can to get in front of the right people. It’s important not to forget about the end users either. Customers can play a huge role in pressuring retailers and distributors into carrying your product. A groundswell of support is a wonderful thing. By utilising your current network, you can also ensure that your booth has a constant flow of traffic – an indication to other CES attendees that you’re offering an exciting product. Use your email list to send out an invitation to your customers to visit your booth. It’s wise to give them a reason to come to you over and above simply saying ‘hi’. Offer a small freebie, or a discount code to use on your website. 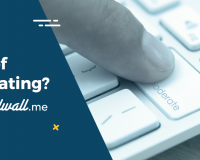 Put yourself in your customer’s shoes, and imagine whether your email would get you excited enough to swing by yoooth. 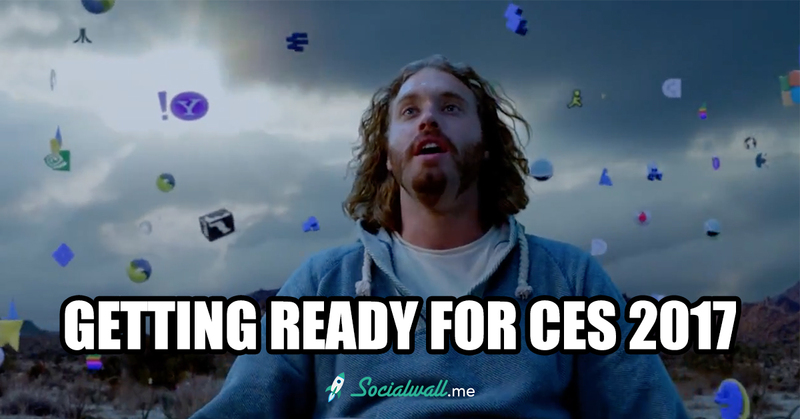 Once CES comes around, it’s time to capitalise on all of your good lead-up work. So how do you stand out at the event proper? The real deals aren’t done at CES – they’re usually negotiated at one of the many private parties that happen around the city at night. Alcohol is the business lubricant that allows hands to be more easily shaken, and in order to have a successful CES, it’s imperative that you make yourself seen at a few of these functions. Again, you can’t be backwards in coming forwards. When you chat to industry movers and shakers, don’t be shy in asking them which parties they are attending. Do all that you can to get an invite to these soirees, and then let your natural (and alcohol assisted) charm win over the other partiers. 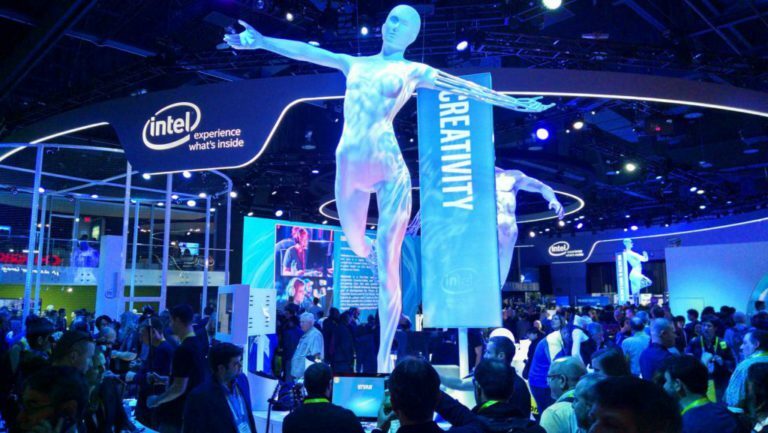 In 2016, Intel stole the show with their incredibly varied stand. It featured an area where you could challenge professional gamers, four towering sculptures that you could have your head projected onto, and an area where weary attendees could utilise the latest in napping technology with a 3 minute power snooze. Not everyone has Intel money though, so for those that are a little more limited on budget, Klipsch Group may serve as inspiration. An audio brand with a storied history, they went totally against the CES grain by installing an exhibit that looked like a parent’s basement. The timber and leather drew people in far better than the flashing screens of all the other exhibits, purely for the fact it was different. As much as hiring a public figure may feel like selling your soul, the truth is that it is a proven, sure-fire way of getting people to stop at your booth. And it’s surprising how loose the use of the term ‘celebrity’ can be. A former member of a boy band, a reality show contestant from 3 years ago; as long as that face is recognisable, the masses will be attracted. Your social media followers have followed you because they’re genuinely interested in what you’re up to. So give them the opportunity to check out your hard work by updating your accounts regularly throughout CES. But you needn’t stop there – why not get CES passers-by involved? 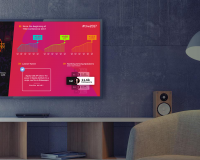 A SocialWall is a sure-fire way to grab the audience’s attention at CES, and get news of your product out on social media. 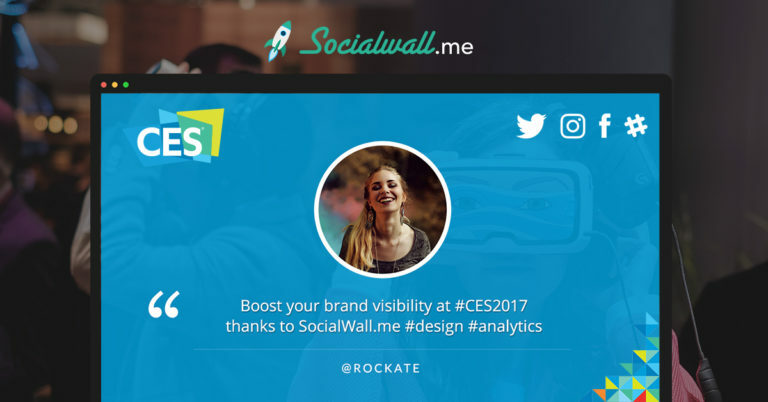 It’s a real time display wall that collates all tweets that use a predetermined hashtag, displaying them on a wall within your booth. 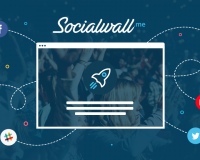 Contact us to get your SocialWall.me at CES 2017 or ask for a free demo here.